June | 2018 | Glenn O. Hawbaker Inc. This week, the U.S. Department of Transportation approved PennDOT’s Infrastructure for Rebuilding America (INFRA) grant application for the construction of a high-speed I-99/I-80 interchange and associated local access options. Congressman Glenn “GT” Thompson made the announcement on Tuesday, June 5. 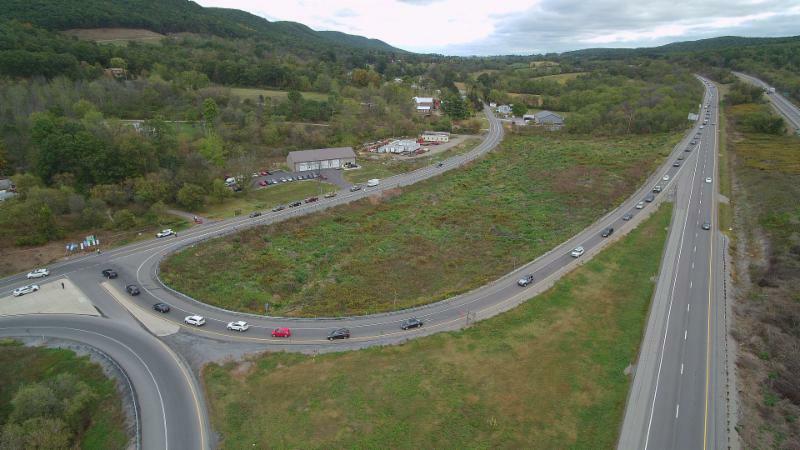 Through its ‘DRIVE Forward’ initiative, the Chamber of Business & Industry of Centre County sought to garner broad-based support for this and other major transportation projects critical to safer and more efficient travel to, from and through Centre County. The CBICC, along with a growing group of government, business, community, academic and individual stakeholders, engaged in a sustained, collaborative campaign to help secure federal grant approval. In letters submitted with PennDOT’s initial grant application; support letters sent to U.S. Department of Transportation Secretary Elaine Chao; and in visits with key congressional leaders and staff in Washington, DC, this collective support was highlighted. The ‘DRIVE Forward’ initiative demonstrates what can happen when various stakeholders work together to achieve a common goal — in this case, a project that will dramatically reduce traffic congestion and improve motorists safety, and have significant implications for commerce and new business investment opportunities as well. The ‘DRIVE Forward’ website, www.driveforwardcc.com, will continue to provide project status updates as they are available, and news about other priority transportation projects. You can also sign up as a supporter.